CYBER MONDAY SALE!! Receive a FREE Razzle Dazzle Christmas Jam with product purchase of $25 or more today only! 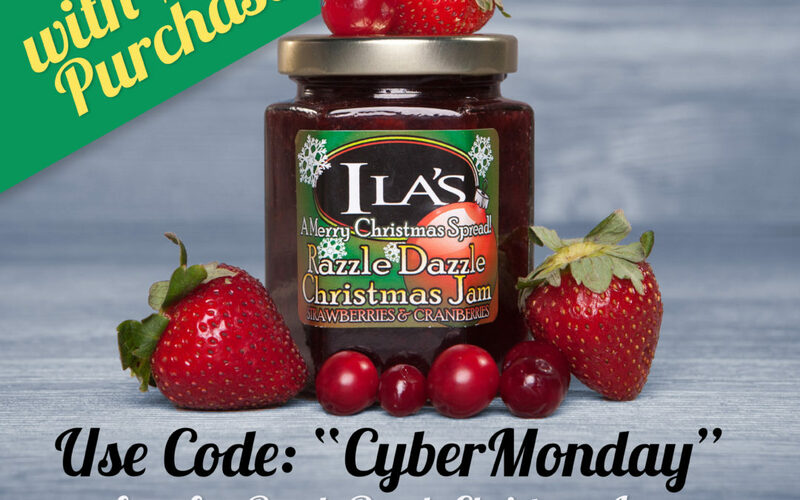 Use code “CyberMonday” at checkout and be sure to add the Razzle Dazzle Jam to your cart. Share this post and spread the love! Ila's Foods shared a post. Ila's Foods updated their cover photo. Ila's Foods shared a link. In order to support both local Unified Sports basketball and soccer teams, Debra Kilcup, Renee’s mother and owner of Ila’s Foods, created Blazer Spirit Jelly, and donates the proceeds to the team. Ila's Foods shared a Page. On the last weekend in February it's "Raining Chocolate" on the North Beach!